Milk Solutions combines traditional and non-traditional beauty ingredients with advanced scientific technologies and processes to deliver effective, visible results. Our four ranges of paraben-free specialist manicure and pedicure products – Milk & Honey, Fruit, Garden,and Professional – cover the full scope of targeted in-salon and at-home beauty products and treatments needed to keep hands and feet looking sensational. Inspired by Cleopatra’s most trusted beauty ingredients and rituals, our classic range includes focussed mani-pedi treatments for all skin types, ages and conditions as well as everyday nourishment and care for the hands and feet. Developed to reverse the visible effects of ageing, repair damaged skin and address skin sensitivities on the hands and feet, our newest, growing range of innovative treatments are inspired by nature and designed to “feed” and nourish the skin. Our fun, fresh combination fruit treatments are available in two formulations and fragrances – Grapefruit & Pomegranate and Soya Milk & Quince – selected to revitalise and re-energise the senses as they soothe and revive weary hands and feet. Available exclusively to salon owners, our specialist treatments have been scientifically formulated to target specific skin concerns. 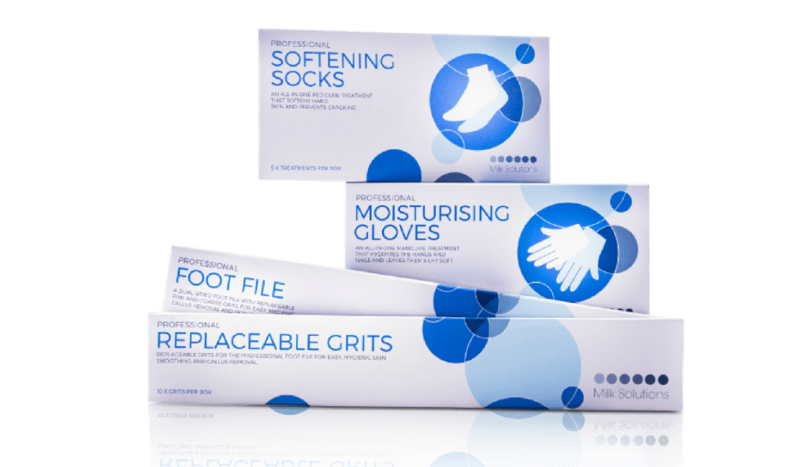 Our superior-quality mani-pedi tools and select range of specialist equipment ensure that all treatments are delivered safely and hygienically.